It's official... I have the bug. I bought a bunch of parts over the holidays and used some from my first build to create 2 PC's: one that would replace the first build and the other to drive the 4k TV in the living room in micro-atx form factor. This has an EVGA theme to it with the EVGA 240 clc keeping the 8700k cool, EVGA SC2 GTX 1080 Ti, and a waaaaay overkill EVGA 1,000W 80+ Gold G3 PSU powering everything. At the moment, the rad is top mounted. Temps around 30-35C at idle and climb to 50-60C during gaming. I may switch to front mount just to see if there is any difference. 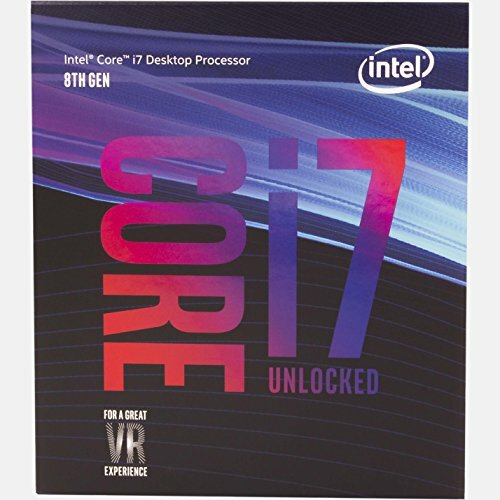 8700k clocked to 4.8ghz. Haven't tried going further with that yet. The 32Gb of RAM was a mistake... I asked my gf to order 16gb from newegg's ebay store during a 15% off sale because I used up my discount on the GPU. We snuck the order in with seconds to spare as the sale was about to end. In our haste we ordered 1x16 stick. I want to run dual channel so I figured what the heck... I'll just order another 1x16 stick. So that's how I ended up with more RAM than needed. All good, though haha. It's running at the advertised 3200mhz via bios settings. The PSU was actually the first part I bought during a spur of the moment impulse buy when it was on sale for $89.99 so that's kind of what got the wheels turning in my head for this build. The 8600k, 2x8 GSkill kit, 1070 Ti FTW ultra-silent from the first build went into a meshify c mini with an MSI z370M Mortar and I'll try to get that build up shortly! Thanks for reading and if you have any comments, questions, suggestions, or criticisms I'd love to hear it! Yep, and cases! See? I’m not a total fanboy haha, but I am extremely happy with EVGA products and customer service so far. Hey, what is the monitor that you are using? That's the Alienware 34" GSync Ultrawide. These have been going on sale for $750 recently so I wouldn't pay more than that if you go for it. I'm very happy with it. Did you ever switch the radiator to the front to see temp differences? Also, is the EVGA AIO quiet? How is the cooler working? Is it good? I want to buy this but I’m debating in choosing the Thermaltake Riing 240 (everyone is saying it’s exceptional), the EVGA CLC 240 (also very good cooler based on reviews) and this, I’m trying to get a cooler that will run the 8700k to 5.0 ghz stable. Seeing some recent reviews of the chip, it’s not that hard, but then again I want my system to be quiet, and for my cpu to not exceed at least 75c. Thank you, I’m copy pasta-ing this to other people’s build with the quo’s mentiond above to get there opinions on it. I like it and it cools decently but find it gets loud when clocked over 4.8ghz. So unless I'm running benchmarks I keep it at 4.8ghz for quieter operation. I'm thinking of putting noctua fans on there to make it better.